Nashville's songwriters are the heartbeat of Music City. Let's promote them together. 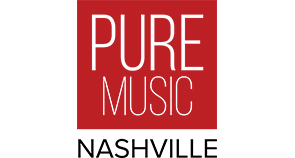 The mission of Radio SoBro is to bring awareness to the talented singer-songwriter community who calls Nashville their home and who have helped dub Nashville as “Music City USA.” We are seeking to partner with organizations that aim to elevate their brand while supporting the only streaming music platform where our city’s hard-working artists are exclusively found. Interested? Let’s chat! We aim to continually build content not simply fill space with ads, and we seek like-minded partners who share the vision of promoting Nashville and its singer-songwriter community together. Let’s customize what that looks like for your brand. The sky = the limit! Our listenership continues to grow. As of August 2018, it has grown to over 1700 total listeners per month, and we are just getting started!